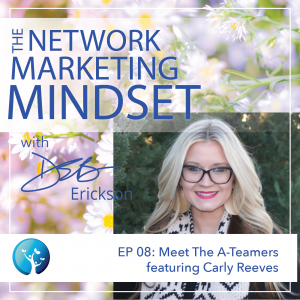 In another installment of Meet the A-Teamers, Deb interviews top network marketing leader, business-builder, speaker and industry influencer Carly Reeves, who describes her belief in abundance and talks about her unique perspective on what creates success in network marketing. Four years later, Carly heads a team of more than 50,000 motivated, inspired women who appreciate her down to earth personality and passionate, push-you-to-your-greatness leadership style along with her dedication to the products they love sharing. She’s known for her belief in each and every person on her team, and is an advocate for those who just need someone to believe in them.